In a new interview with Lebanon’s al-Mayadeen TV, Syrian Grand Mufti Ahmad Hassoun, one of the nation’s top religious leaders, accused the Syrian rebel forces of being in league with Israel, claiming they’d repeatedly made offers of a peace deal centered around Assad making concessions to Israel. Hassoun said that since the civil war began in 2011, the nation had repeatedly received unofficial offers from rebel groups saying they’d end hostilities if the government agreed to a deal with Israel, including the expulsion of all Palestinian resistance from Syria, and cutting all relations with Hezbollah. He went on to say that al-Sham was once “a vast territory extending from the Sinai desert to Hejaz desert and was not divided into a small state,” and that Britain and France had carved it up for political purposes, saying the Western efforts to divide the region continue to this day. 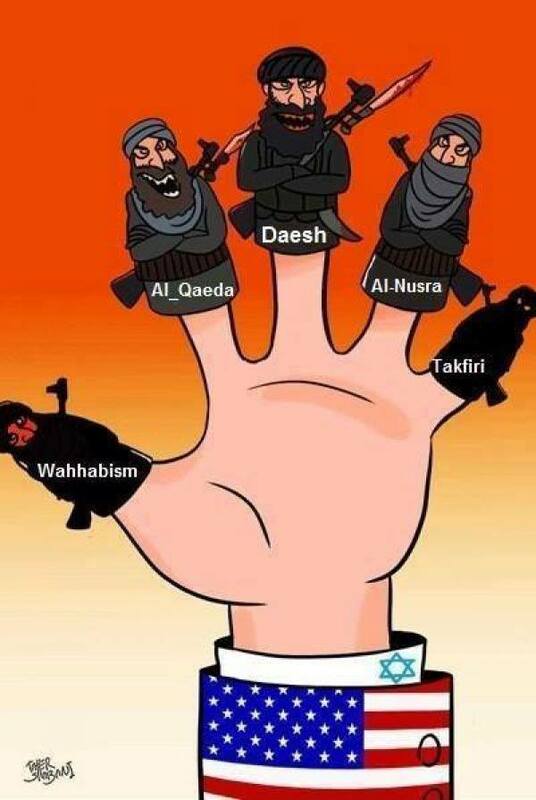 Hassoun went on to say that “40,000 Muslims from Europe are fighting in Syria,” complaining that none of them are fighting for the liberation of Palestinian, adding that several Muslim countries are fighting in Syria and in Yemen, but none are fighting for Palestine. The EU has stepped up its behind-the-scenes role in organizing regime change in Burundi by taking the dramatic step to cut most of its funding for the country’s anti-terror contingent in Somalia, this according to the latest exclusive report from Reuters. Burundi provides nearly a quarter of the 22,000 African Union (AU) troops stationed in the country and is the largest international contributor. Correspondingly, while there’s no official data about the number of AU soldiers who have been killed during the nearly decade-long African Union Mission to Somalia (AMISOM), reliable estimates and official UN data from 2013 indicate that Burundi has borne the brunt of the roughly 3,000 fatalities that are thought to have occurred. Given Burundi’s dedicated commitment to fighting terrorism in Somalia and the blood that its military has already shed in furtherance of this goal, it’s all the more surprising that the EU would risk undermining its anti-terror effectiveness, especially when Burundi is essentially carrying out its task as a paid surrogate for Western troops themselves. Revealingly, Brussels’ decision adds proof to the convincing allegations that the EU elite are more influenced by US-whispered geo-economic imperatives in overthrowing the leader of a geopolitical pivotal and mineral-rich state than pragmatically assisting its forces in the shared struggle against global terrorism. Probably the most immediate reason why the EU elite don’t appreciate Burundi’s anti-terror commitment in Somalia is because Al Shabaab, the primary target of this indefinite mission, only operates in Africa and targets black victims. It’s not that the group is doing this out of any purposeful intent, but simply that its area of operations around the Horn of Africa puts it within range of mostly black targets. In an ironic rebuff to their ideology but in accordance with their unsurprising and typical double standards, the Cultural Marxist EU elite don’t see any pressing need to halt black-on-black terrorism so long as it’s contained to Africa and doesn’t target European-based Africans. Al Shabaab has yet to expand its zone of attack to anywhere directly relevant to conventional EU interests, preferring instead to kill Ethiopians, Kenyans and even fellow Somalians in its crazed pursuit of an irredentist and ethnic Somali-dominated “Islamic State” in East Africa. Al Shabab in Somalia. Photo: ABC News. In contrast to Saudi Arabia’s terrorists, Qatar’s have largely refrained from attacking Western targets, possibly owing to a tacit agreement that they have with the latter’s governments to provide soft support (media sympathy, “refugee” status, etc.) for Doha’s patronized Muslim Brotherhood and affiliated elements in exchange for much-needed and competitively priced energy contracts. Both sides are presently upholding this deal, with the EU continuing to purchase Qatari energy resources while Emir Thani holds off the terrorist hordes from attacking European targets (at least for now), and with Al Shabaab likely part of this arrangement, Brussels sees no urgent need to substantially support outsourced anti-terror activities against a regional African group that only targets local black victims. For this self-interested and ideological inconsistent reason, the “bleeding heart” Cultural Marxists of the EU are eagerly willing to sacrifice the effectiveness of a solid and tested anti-terrorist force in Somalia solely as a means of encouraging regime change in Burundi. It’s true that there exist certain grievances that the regional Somali community definitely has towards their respective governments no matter which country they presently reside in, and there was a failed Cold War-era effort at reviving the “Greater/Natural Somalia” that was divided by European and what was perceived to be African (Ethiopian) imperialism, but Al Shabaab has expertly manipulated these preexisting sentiments and historical memory and intertwined it with the violent doctrine of extreme Islam in order to manufacture a semi-appealing terrorist group that masquerades as a pseudo-“resistance” organization. Furthermore, there have been strong suspicions in the West that Qatar is one of the terrorist group’s sponsors, and while no smoking gun has emerged, such a truth would believably mesh with the emirate’s already proven modus operandi in the Middle East. It’s far from being a pivot, but because it plays an integral influencing role on the nearby pivots themselves, it can more accurately be described by the author’s own neologism as being a “geopolitical hinge”. Its strategic disposition one way or the other can impact on regional affairs but not necessarily change them owing to the country’s comparatively lesser influence on its neighborhood, but it nevertheless fulfills an important role in the larger East African paradigm of power. All economic considerations aside about the lust that Western companies have for displacing theirexpected Russian and Chinese rivals in the country’s largely untapped mineral sector, Burundi occupies an ideal geographic space in one of the most dynamic and gradually focused-on areas of the continent. To place the country into a grander context, East Africa is on the cusp of undergoing New Silk Road-affiliated transnational integrational projects that could dramatically elevate its regional partners’ multipolar status in the emerging world order. That said, Burundi is the weak link in this emerging construction due to the potential that its domestic identity-differences, legally subdued but still socially present, could be manipulated from abroad to engineer a disruptive Hybrid War that sabotages an important spoke of the African Silk Road network. 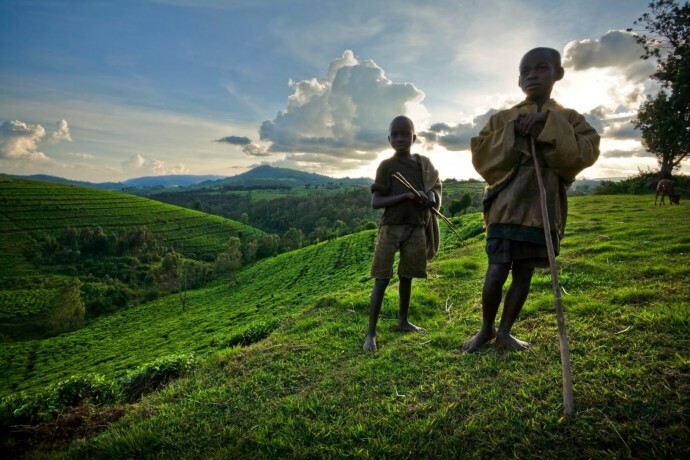 To get into the details, Burundi abuts regional giant Tanzania, whose populationis expected by the UN to surge to epic and powerful proportions by mid-century to 137 million, making it the fourth-fastest-growing country in the world. Relatedly, while this could potentially be a demographic curse, it could also be an economic blessing, and it’s for this reason why China and other countries have a deep-seated interest in getting involved in the country’s economy now while it’s still relatively early on to do so. However, a prompted Hybrid War in Burundi would inevitably lead to overspill effect across the Tanzanian border, not only in terms of “Weapons of Mass Migration”, but also in armed non-state actors traversing its territory and embedding themselves along the Central Corridor railroad line that’s expect to form a crucial part of the East African Railway Master Plan, itself the New Silk Road infrastructural backbone of the formative East African Federation. 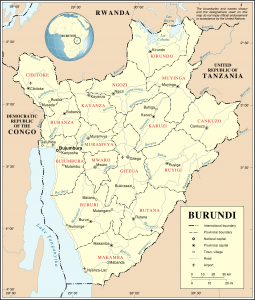 Additionally, any humanitarian/militant crisis in Burundi could easily draw in Rwanda, which is already conspiring against Bujumbura as it is (and even worse, exploiting refugees to do so), and this could offset one of the most economically promising countries on the continent. One should bear in mind, however, that this is mostly a macroeconomic and statistical illusion largely facilitated by Rwanda’s developing hub status and its key role in laundering the eastern Congolese minerals that its affiliated rebel forces have pillaged (despite it being ‘officially’ illegal to do so). Even so, Rwanda does have a lot of minerals in its own right and is the world’s largest exporter of coltan, for example, but the US likely takes issue with the fact that it’s selling some of them to China and diversifying its overall economic relations with Washington’s prime global economic rival. Rwanda’s role vis-à-vis China is increasingly taken on a very strategic nature owing to the importance that its own and the Democratic Republic of the Congo’s (DRC’s) (illegally transited) minerals have to China’s (overseas) scientific-technological manufacturing base. As much as Paul Kagame has wantonly behaved as an untouchable American proxy since he came to power on the heels of the country’s externally instigated genocide, that does appear to be changing, as Washington signaled its “disappointment” at his ambitions to run for a third term next year, indicating that it now potentially sees him and his county as dispensable scraps of geopolitical “scorched earth” material in the larger New Cold War that it’s fighting against China’s New Silk Road vision in Africa. To summarize Burundi’s geopolitical hinge relevance in East and Central African affairs, not only could a Hybrid War in the tiny country offset Tanzania and the East African Federation’s broad New Silk Road integrational connective projects, but it could also return the neighboring mineral-rich country of Rwanda to being an unapproachable battlefield that scares away and obstructs all possible Chinese strategic investments there. 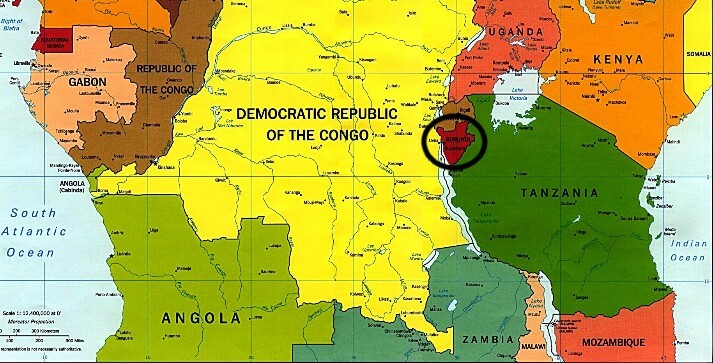 Tangentially, but no less importantly, Burundi’s location next to the extraordinarily mineral-rich areas of the eastern DRC also means that both its possible Hybrid War problems or the influence of any ‘Western/foreign protector’ can extend into one of the most prized natural resource regions in the entire world, either indefinitely offsetting its export capability (both legal and illegal via Rwanda) or redirecting its market destinations more firmly to the West at the expense of East Asia. Undoubtedly then, after considering these geopolitical and geo-economic imperatives, tiny Burundi begins to take on an outsized significance in the global calculations of the New Cold War. Imbued with a relevant understanding of Burundi’s grandiose geostrategic and geo-economic pivot importance to New Cold War affairs and fresh with knowledge about how the EU (under likely American orders) has betrayed Burundi’s brave anti-terrorist sacrifices in Somalia, it’s now time to investigate the connection between these two seemingly disparate topics and unveil that larger goal that’s being pursued. As is already widely known, the US and its allies have been pushing for a regime change against the democratically elected and legitimate Burundian President Pierre Nkurunziza, wanting to replace him with a pliant politician that would open the country up to full Western ‘investment’ at Russia and China’s strategic multipolar expense. The ‘normative’ cover for doing so was to allege that the President was constitutionally barred from running for a third term, but the country’s highest court ruled that he can do so on the technicality that his first term was an appointment and not an actual election. No matter the nitty gritty details of the state’s sovereign affairs, it’s evident that foreign powers were involving themselves in this process as a means of acquiring future long-term influence inside what they presumed would quickly become a post-Nkurunziza Burundi. A low-intensity Hybrid War was launched against the country on the grounds that the President’s campaign and eventual election to a third term was unconstitutional, and the UN estimated that a comparatively small figure of 474 people have been killed there since the manufactured turmoil broke out on command in April 2015. While the global body quite rightly recognizes that the conflict could spill over Burundi’s borders and become the spark for a larger regional conflagration (in line with the author’s above-mentioned assessment about the US’ scorched earth Hybrid War tactics in East and Central Africa against China), it’s quite telling that, respectfully speaking, not even half a thousand people have died in a political crisis that captivated the attention of most of the world’s leading international news outlets for almost the past year. This attests not only to the exaggerated importance that the Western media gave to this crisis, but also to the patriotism of the country’s civilian population and the majority of its military leaders, not counting of course the conspirators of the failed May 2015 coup. Although the attempt at a traditional regime change ploy miserably failed, the fact that it came the closest out of all of the ones that were tried (Color Revolution and Unconventional War included) indicated to the West that this is the method which must be most heavily invested in for possible future success. Returning to the beginning of the article where Reuters’ exclusive report was cited about the EU cutting off funding for the Burundian anti-terrorist forces in Somalia, it must be qualified that this doesn’t translate to the full suspension of funds, but to a significant enough percentage that it will negatively impact not only on the government itself (which takes a 20% cut), but most relevantly on the soldiers themselves who have come to depend on this added income. The goal is to turn the rank-and-file soldiers against the government by essentially blackmailing them into supporting another military coup sometime in the future, but unlike its failed predecessor, any forthcoming one might have a larger supportive cadre of conspirators to draw from and might end up splitting the military forces along ethnic lines. Whether it succeeds or not in overthrowing the government at that point isn’t actually all that vital so long as it can add fuel to the Hybrid War flames of identity violence that the West has been trying to fan for almost a year now. It shouldn’t be forgotten that if the US can’t successfully co-opt or change a targeted government, then it will instinctively resort to geopolitical ‘scorched earth’ tactics in taking down the country and the rest of the region that are expected to otherwise play very constructive roles in China’s New Silk Road global multipolar paradigm. Burundi, with its small size and relatively godforsaken geographic location, surprisingly plays a very significant role in affecting the geopolitics of East and Central Africa, especially when this its geo-economic relevance is factored into the overall strategic equation. The West is very cognizant of the Hybrid War vulnerabilities that plague the country, particularly the recent and very bloody Hutu-Tutsi civil war, and it’s adroitly manipulating these factors in order to add increasingly intense pressure on the government. Thankfully, the people are well informed of the external threat against their country and understand the nefarious plot that’s been deployed against them to return Burundi to ethnic-based civil war, hence why the Hybrid War plan has dismally failed to reach its full and genocidal hoped-for potential that would have then triggered a “humanitarian intervention” by the African Union, the East African Federation, the UN, and/or a unilateral “coalition of the willing” from the West. In light of this ‘inconvenient’ reality, the West now appears to be investing heavily in winning the ‘hearts and minds’ (and pocketbooks) of the rank-and-file soldiers of the Burundian military, obviously in anticipation of a forthcoming military coup redux that represents the best possible chances at overthrowing the government or sparking a renewed civil war. There’s a possibility that a separate foreign patron (perhaps China) could step in to fill the financial void left by the EU’s withdraw of monetary commitment to the Burundian anti-terrorist forces in Somalia, but if even if this doesn’t eventuate, the proven patriotism of the country’s military and the astuteness of its officer corps should be enough to repel the forthcoming conspiracy against it and ensure that it fails just as badly as its forerunner did. Nevertheless, depending on how the forecasted situation develops, it frighteningly might be destabilizing enough that it exacerbates Burundi’s internal identity-based divisions and noticeably pushes it closer to the brink of Hybrid War, possibly even involving a more robust Rwandan role. The next few months will be decisive, and any major national commemoration or foreign presidential trip might be chosen as the date for launching the latest coup attempt bringing Burundi back to its days of civil war and dysfunction.